The Story of Machpela features colorful cartoon characters traveling through time. 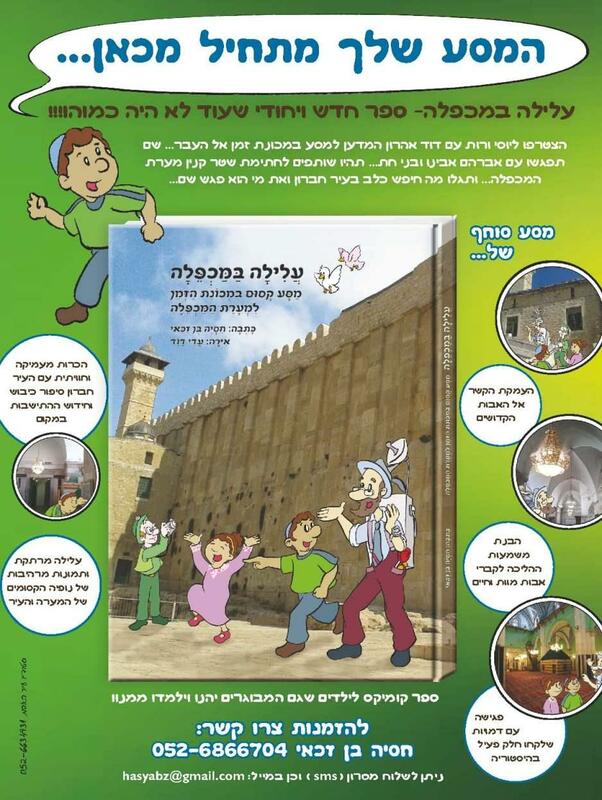 This hard-cover Hebrew children's book features historical photographs of Hebron juxtaposed with modern colorful cartoon characters. Uncle Aharon takes Yossi and Ruti along a journey through Hebron's timeline. Along the way they meet Bible heros, Ottoman soldiers, IDF Rabbi Shlomo Goren and modern pioneers of the new Jewish community such as Baruch and Sarah Nachshon. The book is written by Hadassah Ben Zakai and illustrated by Adi David.